Fans get dressed - Con Comic Festival. Dress larger than life at the Dandy-Con Comic Festival. Many are expected to inhabit their favourite pop-culture characters, anime and superheroes at the free family-friendly event. It includes Fandoms, cosplay competitions, workshops, exhibitions, live music, airbrush tattoos and comic stalls. Workshops for ages 12-plus include manga drawing, lightsabres, comics writing and creating kamishiba (paper theatre). 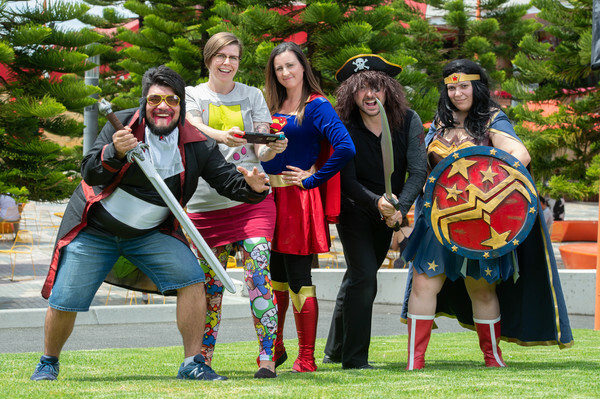 Dandy-Con Comic Festival is at Dandenong Library and Harmony Square, corner of Walker and Lonsdale streets, Dandenong on Saturday 13 April 11am-4pm.